Beautiful Colonial home is now available in Berlin! This lovely well maintained home has over square feet of space and features 4 bedrooms and 2.5 bathrooms! You will enjoy walking onto the lovely front farmers porch, You will love the open layout also this home has a Formal Living room, and Dining room, both featuring Hardwood floors. 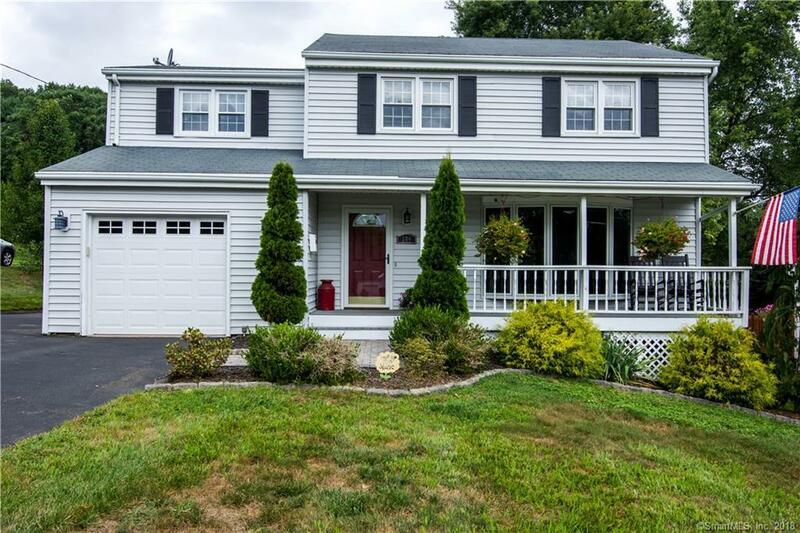 This home also has a very spacious Eat-in Kitchen, with Newer cabinets, Granite counters, and Stainless steel appliances, all overlooking the Family room that invites you right in with the pellet stove for those cold New England nights! You will want to make sure to take a step outside to view all of the outdoor living space this home has to offer, with a Spacious deck to overlook the entire yard as well as a custom Patio with a built-in Firepit. Make sure to take a look downstairs at the Fully finished lower level which features a full Bar and bath. This home truly is a must see in Berlin, schedule your Private tour Today!